It was deemed that the patient had been sick for over a year, and indeed had shown signs of the illness during a sustained period of good health a couple of years ago. Particular emphasis was paid to a lack of concentration and focus over a year ago and whilst the patient had tried to rid itself of these symptoms, the change in medicine last summer only brought about a quick demise. Relying on Wright’s and Doyle’s Branded “One Great Season”, Riley’s “Full of Promise”, and of course, Scannell’s “Winged Wonder” proved to hasten the end. Other medication such as O’Donnell’s alternative to Immodium, and a mixture of borrowed medicines – Payne’s “Little Wizard”, Ball and Miller’s Balsam were rarely effective. Sadly the patient took too little of a young and experimental medicine – O’Brien’s “Patented Enthusiasm”. Old remedies such as NKP’s Chicken were ineffective. The continuing absence of Reeves’ “Box to Box” and the mystifying loss of Robinson’s “Progressive Pace” were other factors. Expensive and exotic drugs like Akpan and OC were tried and discarded after use. The cause of demise was Rahicitis – an unusual foreign disease bringing delusions resulting in extravagance and fits of megalomania. Sadly, the condition was not discovered earlier, when action could have been taken. However the symptoms became evident after a trip to the West Country and following the dismissal of its popular physician, the misguided succession of alternative practitioners failed to revive the patient. It was noted that the financial position of the patient particularly contributed to its passing – specifically in three periods when alternative medication could have been acquired but the continuing delusions resulted in poor choices and in the end proved fatal. My first City game was against Chesterfield in 1967. I was at The Feethams in 1969 to see us clinch promotion for the first time in 40 years (let’s hope our next sojourn in Div 4 is not that long!). Work took me away from Yorkshire but I was at Cambridge when we clinched promotion to Div 2 in 1985 (I was also at Bournemouth when we got stuffed a week later). Again I moved South but sadly indoctrinated my two sons into claret and amber. My eldest son’s introduction was a 6-1 mauling at Brentford (my wife’s was 6-0 at Aldershot – remember Paul Reaney’s debut?) Better times beckoned and a 1996 Wembley trip to see a comfortable 2-0 victory was much appreciated. Of course since the turn of the century football has changed out of all recognition. I was in Arizona when news of THAT victory over Wolves came via a telephone call at an ungodly time in the morning. I asked my son “What’s the score?” He was obviously in shock as he replied “Who’s calling? Oh Dad, yes we’re in the Premier League”. Despite all that went on since – thank you Geoffrey Richmond. Looking back we were unlucky with ITV deal going sour – look at the money today! No parachutes for us! Yes I was at Chesterfield in 2007 but finally good times returned with Parky and the second coming of Stuart. We’ve had our days in the Sun. Arsenal, Aston Villa and even Wembley 2013 (I had to negotiate with fortunately a sympathetic BA employee to change my flight for £400 rather than £2,000). The Cup Run of 2015 was a true highlight. I vaguely remember as a youngster catching Grandstand and listening to David Coleman saying “Bradford City are almost in the Quarter Finals” – sadly the then all-powerful Burnley came back to force a draw and stuff us 5-0 in the replay as Spurs did a dozen years later. However the 2015 run came from a sticky background – we saw the 3-3 draw at The Den – never forgiving substitute Jason Kennedy for losing the ball to allow a Millwall equaliser. The boys and me went to both Millwall play-off games – being a bit deflated at The Den when Parky didn’t go for it – #wecouldnt and didn’t. The Parkinson era finished and were amazed by Stuart’s first season – although we did struggle for goals. 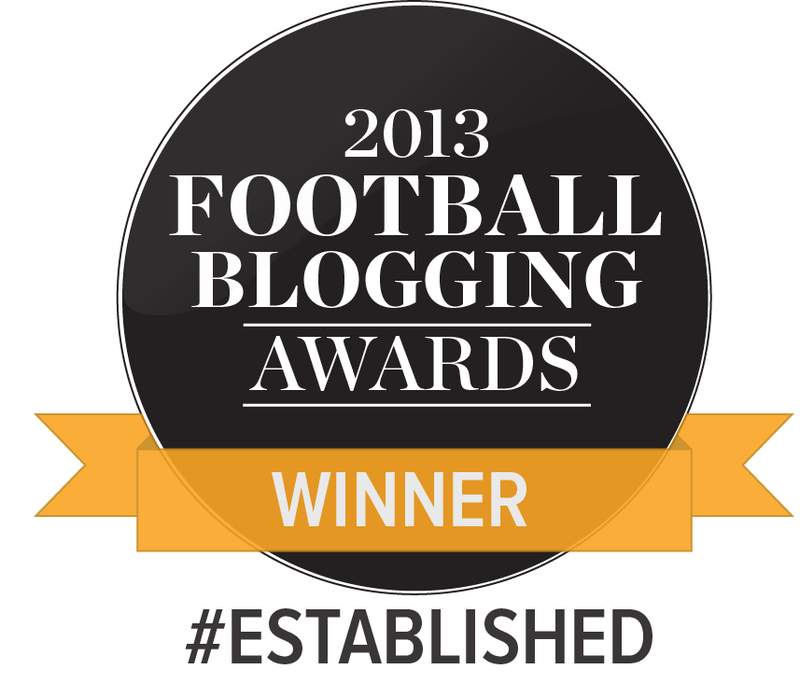 My boys went to Wembley and tears flowed – was it just two years ago? Even though we lived four hours drive away from VP I bought 3 season tickets for 2017/18 and was there through the ups of that season (3-0 up at Peterborough) and the downs losing at home to Southend. Hey ho, we’ve been here before. Or have we? The Club is now worth less than nothing. The fan base decimated and disillusioned. I’m not a fan of the manager, and low cost STs have proved a millstone both in terms of finance and fan expectations. The future? I can’t believe we can get back on track quickly. Maybe we need a marquee signing as Manager or Player of Bantams’ pedigree – Darren Moore, Gary Jones or even a returning Nahki. As an old boss once said to me “Andrew doesn’t know how he will meet his targets, but somehow he’ll find something and exceed them” I just hope Gary Bowyer can do that. 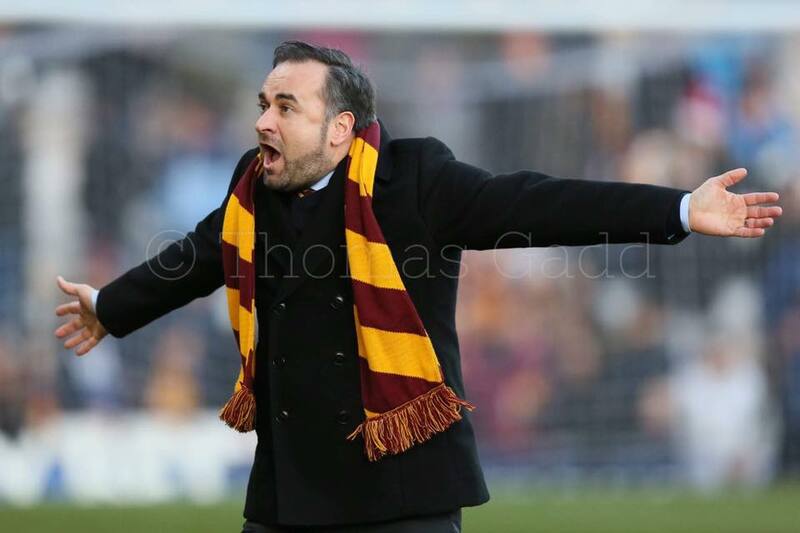 ‹ Bradford City AFC – held back by history? Some people don’t seem to get it when they say get rid of the lot. The players contracted to 2020 or 2021 can just turn up for pre season training and there’s nowt we can do about it. Alternatively we pay them up and end up with a limited budget to replace them. Surely some will be good enough to play well in a low division . A massive amount of work to be done on and off the field. I did hear from somewhere that some of the players have a relegation clause in their contracts limiting the club’s liability here. Not sure if it’s true, if someone knows better please speak up, but in the meantime I’m hoping for the best. But as you say, making silk purses tomorrow out of today’s sow’s ears might me Gary Bowyer’s challenge next year and one he may pull off – after all many at VP had written of McCartan but he’s been a revelation at Lincoln this year…. You’re correct, Andy, there are relegation clauses written into some players contracts. One of the few things Edin did right! I wouldn’t say that Mccartan “has been a revelation at Lincoln”. He’s spent a lot of time on the bench with many appearances as a sub. His record of six goals in 30odd games is hardly inspiring. He has spent more time on the bench. He is not scoring goals either. Seems to be a squad player at Lincoln. Well written Andrew, agree with your sentiments. Enjoyed the satire. But the article also highlights city’s serious situation. Good management is needed. Rhodes can provide it. Bowyer has a track record. Coventry bounced straight back. Burnley prove that good management can bring long term success. Rahic proved that bad management can quickly bring failure. Accrington prove you don’t need big money if you are well run. I just hope for success next season. It can be done. Andrew, I’m glad you raised the issue of the season ticket prices. Hardly the optimal time to hike them but running on prices from a decade ago cannot be a viable proposition. I was singularly impressed with the way Accrington ran their matchday experience but I noticed, too, that their cheapest season tickets were well over £100 more expensive than ours. To bring in the type of player deemed to be necessary to improve our performance I do believe we’ll have to expect higher ticket prices. Since the cheap season ticket scheme was introduced, the “real” value of the them has dropped considerably and they are now significantly under priced. They probably are on a par with National League clubs. If you’re paying £6 a game it’s unrealistic to expect instant promotion and a quick return to the “glory” days. £250 a ticket would still represent good value for true City fans. Season to forget, one man’s failure that we had no say in, heading into league 2, Forget it. Onwards & upwards, before the drop……. Interesting to note 12,000 season tickets sold, What do you base this on !!!! Hi ya Bob, I do not post things without concrete evidence, this is the reason why I post as Anon due to the jury straight back at ya Pal, just for future posts, very proud & passionate fan, just head to http://www.Bradfordcity.co.uk and the opening page says season tickets to surpass 12,000, so that indication tells me that it will be 12,000 or could go higher on Sunday !!! !